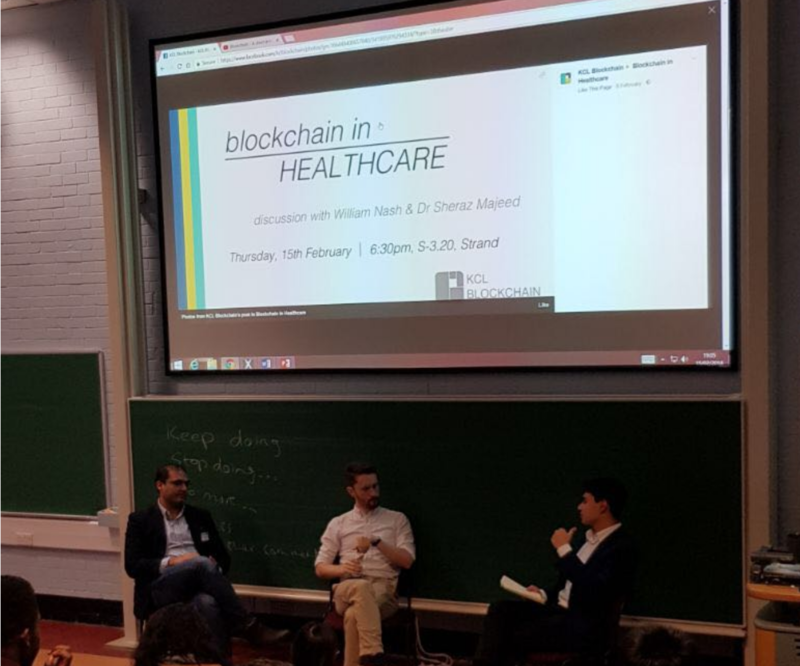 Event on Blockchain and healthcare organised by KCL Blockchain at Kings College London on 15th Feb 2018. Dr Sheraz Majeed from GBC ( Co-Founder ) and William Nash COO ( Dovetaillabs ) were the panelist and mediated by Saul Asghar. It was great event with almost 60 people attending. A thorough discussion about how Blockchain can help improve on areas of healthcare industry. Both panelist shared there knowledge and expertise in the field highlighting the main issues of data integration, consenting, prescriptions etc… the session lasted for 50 minutes followed by Q&A’s for 20 minutes. audience asked multiple interesting questions and was given a thought to reflect as to what choices they would like to make as patient and how far would they accept the integration of new technologies into the healthcare industry. A perfect model developed is yet to be seen but there are few companies who are already working on those ideas and have developed eco systems to run and sustain the business models too. Once the implementation is completed and given few years then we could release the true potential and how Blockchain had really helped the healthcare industry. GBC and KCL Blockchain announced there partnership to support the organisations to raise awareness and create a meaningful discussion for the audiences.